Isosceles Triangle - An isosceles triangle is a triangle with two sides equal in length. Due to having two sides of equal length it also means that the triangle will have two equal angles. In the image on the left, the two base angles are equal. Properties: Two sides are equal and two angles are equal. 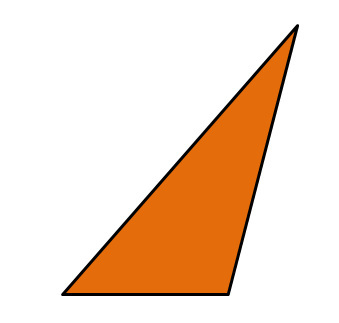 Right-Angled Triangle - When a triangle has a 90° angle, it is called a right-angled triangle. The side opposite the 90° angle is always going to be the longest side in a right-angled triangle. 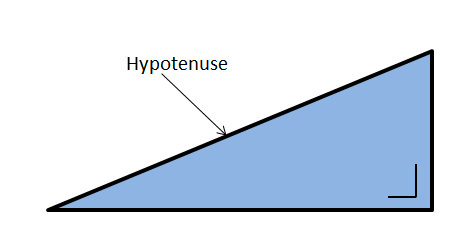 This side is also called the hypotenuse, as labeled in diagram above. Properties: Has to have a 90° angle. Scalene Triangle - In a scalene triangle, none of the sides are equal and none of the angles are equal. Properties: No Equal Sides and no equal angles. 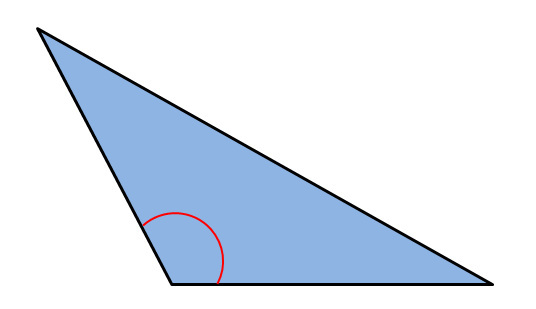 Obtuse-angled Triangle - An obtuse angled triangle consists of having one obtuse angle and two acute angles. 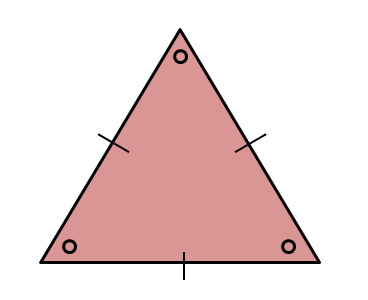 Acute-angled Triangle - An acute angled triangle will consist of 3 acute angles. Properties: Contains 3 acute angles. Congruent Triangle - Triangles are congruent if every corresponding side has the same length and every corresponding angle has the same measure as shown in the diagram on the left. Properties: Three sides equal and three angles equal. Similar Triangles - Similar triangles are triangles that have the same angles but different length of sides. The sides opposite the equal angles are proportional. 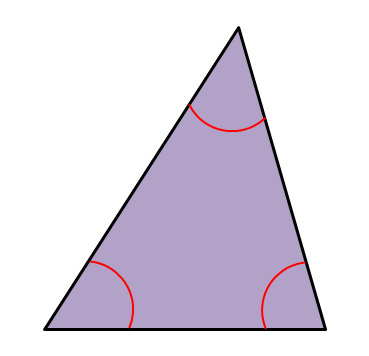 Although the sides of each triangle are of differing length, the sides are in the same proportion. Properties: Three angles are equal but length of sides vary.